I will first tell you that I am not a huge fan of pork chops. Every time I made them either baked with sauerkraut (cause that is how mom use to make them when I was growing up) and applesauce on the side (I still don’t get the two together, which reminds me of a Brady Bunch episode when Peter would say in a funny voice…pork chops and applesauce), grilled or pan fried the flavor wasn’t there for me. They just tasted eh! I cannot remember the last time I bought them. 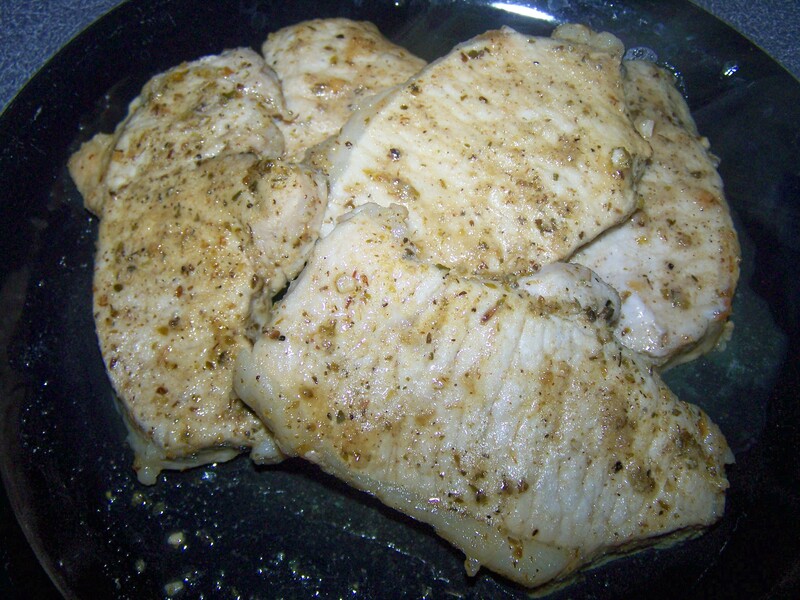 I think I did over the summer and just grilled them with some seasoning, but I know my love really likes them so I searched for a flavorful recipe and I found this one. I found it on Foodnetwork and did some tweaking. I now believe that I have found the perfect pork chop recipe! Yes! These were so juicy and full of flavor. I love the hint of orange juice with the lime, so yummy! In a gallon-sized resealable plastic bag (or glass dish, as I did not have any large bags in the house), combine 1 cup orange juice, 1/2 cup lime juice, and vinegar. Add pork and let it sit and marinate for about 1 hour in refrigerator. Heat oil in a large saute pan over high heat. 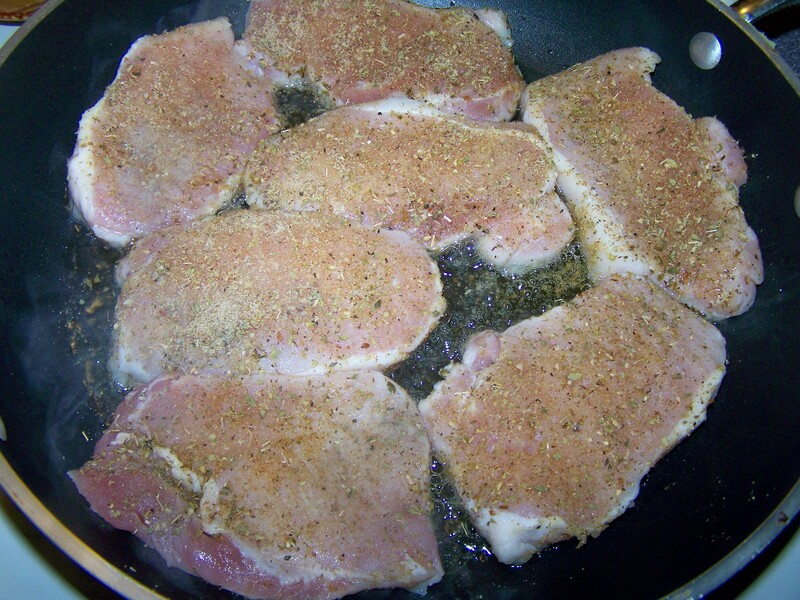 Place the pork chops in the pan and sear on 1 side until brown. Flip over and turn the heat down to medium-low. Add the garlic and continue to cook until garlic begins to brown. 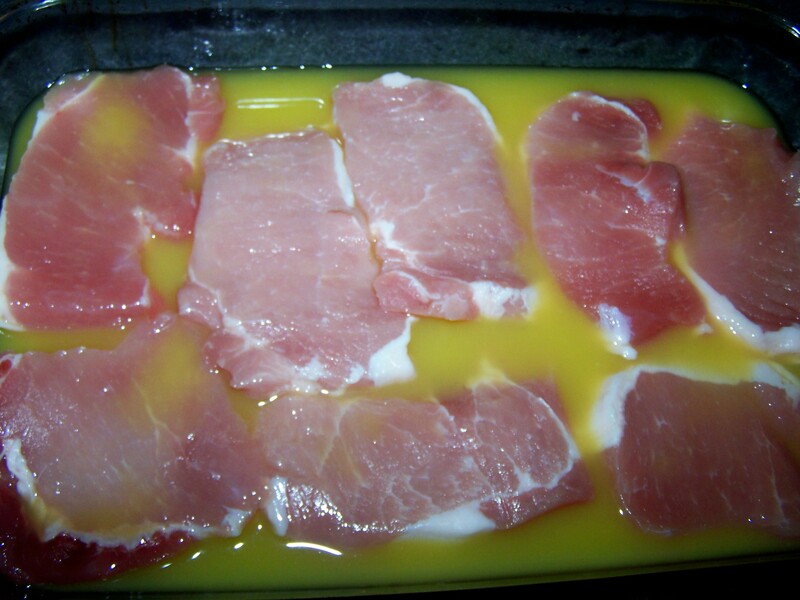 Pour in the remaining 1/4 cup orange juice, 1/4 cup lime juice, and broth. Simmer until the liquid is slightly reduced and begins to thicken. The chops should be cooked through.